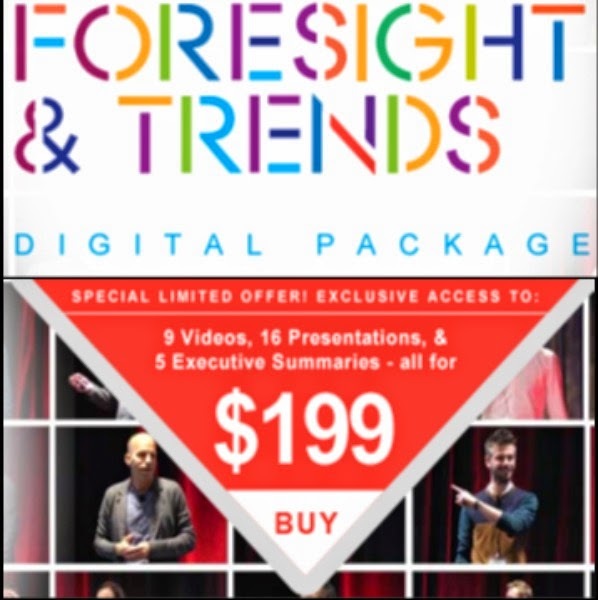 $300 Off Future Trends Conference. This Week Only. Before you can finish reading this post, these statistics will have grown exponentially. Trends drive consumers, and consumers drive sales. So how can you utilize each of these mediums to form meaningful relationships w ith your consumers that ultimately grow your business? Future Trends brings you a full day Summit "The New Social Currency: Engage in the Relationship Economy", exploring mobile, gaming, social media, and technology. Download the brochure to see other sessions and session descriptions. Plus, speakers from Unilever, Aveda, Philips Consumer Lifestyle, Hallmark Cards, PepsiCo, Kraft Foods, Wyndham Worldwide, Intercontinental Hotels Group, HP, General Motors, Faurecia, UHG, EMD Chemicals, Merck, GlaxoSmithKlein Consumer Healthcare, Target, Westfield, Junior Win Team, New Think, Pulp Inc, Coolhunting.com, Kimberly Clark, and Firmenich Perfumery will share personal and professional stories that will give you the inspiration to make positive change. Download the brochure to find out how the speakers' stories will impact you. Whether this will be your first time or you are a veteran attendee, you will have an experience incomparable to any previous events you have attended. We hope you will join your community of trend spotters, corporate thinkers, and news makers at the Gansevoort this October in Miami. Register now as a reader of this blog with code SMS15 by this Friday, August 12th & save 15% off the standard registration rate. Register here. We look forward to seeing you this October in Miami!